Details on the meeting were published for the first time in a new book, 'Captives in Lebanon', written by journalists Ofer Shelah and Yoav Limor. The book reveals the decision making processes in the political and military echelons during the Second Lebanon War, and elaborates on the army's plans and the battles which took place during the war. 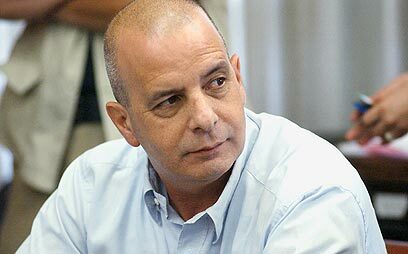 Mossad Chief Meir Dagan and Shin Bet Chief Yuval Diskin arrived at the Prime Minister's Office in Jerusalem shortly after the war. During the meeting, the two officials asked Olmert's military secretary, Major-General to leave the room. This was an unusual request, as the military secretary is present at all the prime minister's security-diplomatic meetings. Dagan and Diskin, however, preferred not to cause the general to face a dilemma due to the message they were about to convey to the prime minister: The war was a national catastrophe and Israel suffered a critical blow." The two demanded that the prime minister establish a serious and comprehensive commission of inquiry, which would probe the war failures. Diskin also let the prime minister understand that if such a commission was not established, he would weigh his options. It should be noted that at that stage Olmert had yet to decide on the establishment of a committee to probe the war. In private meetings, the two said that they found it hard to believe that anything would change in the army as long as Halutz remained in office. Diskin also criticized the IDF leadership in a number of closed Shin Bet meetings, ruling that "two tactical mistakes made by the army, Gilad Shalit's kidnapping and the abduction in the north, led to a huge strategic problem for the State of Israel." During the war, the army had turned down all the Shin Bet's offers, including hostage investigators and reserve soldiers who had served in Lebanon in the past, as well as technological assistance and experts on targeted killings in order to hit senior Hizbullah members. Shin Bet officials believed that the IDF rejected the offers due to "jealousy between the organizations," and directed most of their criticism at Halutz and Intelligence Chief Amos Yadlin. See all talkbacks "War was a catastrophe, top security officials told Olmert "